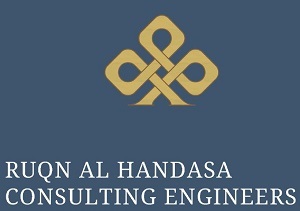 RUQN AL HANDASA CONSULTING ENGINEERS (RUQN) is a Multi-disciplinary Archetict & consulting engineering firm founded in 1976 in Jordan by Eng. Rukni Sweiss as a general archetict office. Today, RUQN is one of the most trusted engineering firms in Jordan working in infrastructure, water & wastewater, Transportation, buildings and archetictural projects. RUQN is committed to provide its clients with quality Engineering services and the most economical solutions and to provide a wide range of extensive technical talents to meet or even exceed its clients’ expectations. As an evidence of RUQN’s commitment to provide quality engineering services, RUQN has acquired ISO 9001:2015 certification. Currently RUQN has 100 full-time staff and long-term associates equiped with knowledge and experience being employed on its projects in Jordan and abroad. The varied experience and specialized knowledge of RUQN’s staff enable them to solve and face the most complicated engineering problems and obstacles. RUQN staff has diversity of backgrounds in Project Management, project Development, Feasibility engineering studies, Planning, Engineering Designs and Construction Supervision Services. In addition to that, RUQN staff has an extisive experience in the preparation of functional and layout drawings, preliminary and detailed designs, working drawings specifications, bill of quantities (BOQs) and final cost estimations. Particular attention is paid to cost planning and quality control and assurance at all stages of the Project. RUQN portfolio includes hundreds of master planning, infrastructure, commercial, institutional, residential, governmental, educational, and industrial projects. RUQN continues its fruitful journy aiming to increase the scope of its opertaions and its international presence. Though an expert in providing engineering solutions and designs for 42 years, we are still thriving towards enhancing our engineering professional and managerial skills to serve our clients by offering state-of-the – art economical, sustainable and functional solutions for all engineers, architectural of problems and designs. To continue with our dedicated top notch professionals to provide the innovative and feasible solutions for the engineering needs and /or problems facing our clients’ projects and to achieve comprehensive projects’ design and/or management.